Access to video tutorials, how-to guides and the lastest product updates. 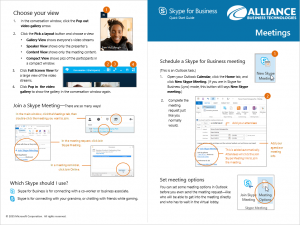 If you don’t have Skype for Business already installed, you can download and install it from your Office 365 home page. NOTE: If you don’t see Skype for Business listed, check with your admin, or install Skype for Business for Office 365 ProPlus. Check the Save my password box to autosave your sign in info, or leave the box unchecked if you don’t want to save it. 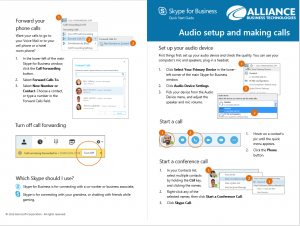 Search “Skype for Business” on your computer to bring the program back up. Or click the app icon if you’ve pinned it to your task bar. A purple dot appears next to a contact’s name if they’re Out of Office . You can still IM the contact and they’ll receive the message as a Missed conversation in email, or when they’re online and available again on Skype for Business. 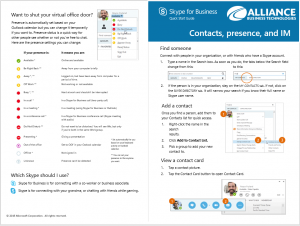 Click your picture (or the avatar if you don’t have one set) in the Skype for Business main window to open the Options box. Click Scheduling Assistant to check everyone’s availability. 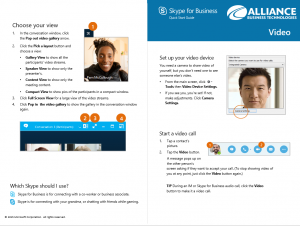 If someone doesn’t have Skype for Business, they can click on the link from the email invite to join. Invite the person you’d like to chat with and click OK.